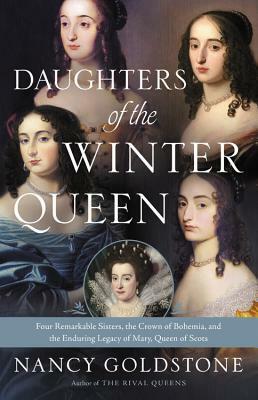 Goodreads: Set in the tumultuous seventeenth century, DAUGHTERS OF THE WINTER QUEEN tells the delicious and dramatic stories of Elizabeth Stuart, the Winter Queen--granddaughter of the doomed Mary, Queen of Scots--and her four unforgettable daughters. Like Austen's Bennets or Louisa May Alcott's Marches, each sister had a unique attribute that set her apart from the rest: Elizabeth was the scholar, Louise the artist, Henrietta the beauty, and Sophia the writer. But unlike those fictional heroines, the daughters of the Winter Queen lived on a much grander scale. Their backdrop was all of Europe and the twists of their stories trace the course of history itself. Their journey begins in Scotland and England and sweeps through the great courts and palaces of Europe and encompasses warfare, political intrigue, illicit love affairs, devastating betrayal, hard-won triumph, and even a murder mystery. Kritters Thoughts: Four granddaughters of Mary, Queen of Scots outlive their grandmother's legacy that ended in her beheading. These four women are each known for something different, but will each turn their family's name from something negative to something positive. Being a fan of the royal family, I was intrigued by this book when I found out that our current royals are from this lineage. With the title of Daughters of the Winter Queen, I was ready from the beginning to read about these four women. It took way too long to get to them. I appreciated some background knowledge of their heritage and where they came from, but most of the book focused on their mother and by the time it go to the four girls, I was frustrated that I read so much about their mother. I don't read a ton of non fiction and each year I want to increase my reading of non fiction books, but this book is part of the reason why this number stays low. It was so dry to read. It felt as though I was reading a text book and would be quizzed after each chapter. I prefer my reading to make me think and maybe look something up but not to put me to sleep or have me avoid reading it. I had to make reading goals to get through this one and I was so excited about the subject matter.